Can't say I'm shocked by this story. 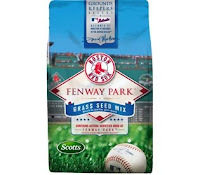 Sports Illustrated reports that you can now purchase a bag of grass seed that has a similar Kentucky Bluegrass and perennial ryegrass mix as the seed used on the Fenway Park turf. Sort of a Carl Spackler special. You can also get mixes used at Wrigley Field, the Great American Ballpark in Cincinnati, Citizens Bank Park in Philadelphia, and Busch Stadium in St. Louis. 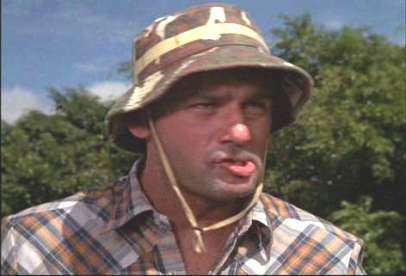 Apparently, the Pittsburgh Pirates grass seed mix was too costly and traded for two bags of peat moss to be named later. Here's the real shock: The Red Sox haven't licensed the field green paint color made by California Paints that is used to paint the Green Monster. Seems like that would have been a no-brainer in the never-ending quest for "ancillary" income. There may not be a better place in the city to escape the heat and humidity than the Boston Harbor Islands national park area. While Bostonians can only dream of T-shirts and flip-flops right now, the islands are still fascinating places to explore, even in the dead of winter. If you're used to seeing the islands covered with lush greens, it's striking to now see them under a fresh blanket of snow. And you might catch a new cast of characters who aren't commonly found around the islands the summer months, such as white and brown seals. The Island Alliance is sponsoring a rare wintertime chance to get out among the Boston Harbor Islands this Saturday, January 16. A winter wildlife watch cruise aboard the Voyager III will take visitors around the outer islands, Hingham Bay, and Weir River estuary. Park rangers and experienced birders will lead the tour. The boat has both heated, enclosed areas and a deck for viewing. The boat departs from the Quincy Shipyard at 10:15 AM and Boston's Long Wharf at 11 AM. The cost is $14 per person. Reservations are strongly encouraged. For tickets, call Boston's Best Cruises at 617-770-0040 or click here. The Friends of the Boston Harbor Islands are also selling tickets. If you can't make this date, there will be a cruise to Spectacle Island on February 20. Northeastern University's Matthews Arena is one of the hidden jewels of the Boston sports scene. If you long for the old Boston Garden, check out a hockey game at Matthews Arena. Walk inside and you'll feel as if you've been transported back to the old Garden. There's an overhanging balcony, exposed pipes, and intimate sight lines (for hockey, not necessarily basketball). In my opinion, the front row of the balcony, which nearly hovers over the ice, is the best seat you'll find from which to watch a college hockey game. Despite its throwback atmosphere, Matthews Arena doesn't get as much love as you would expect in this tradition-laden town. But think about this if you're part of the Fenway Faithful: Matthews Arena opened its doors on April 16, 1910. That's two years before the ballyard on Yawkey Way opened for business. Hopefully, the impending centennial will spark a greater appreciation for the oldest artificial ice arena in the world. It's the lead for an article I just wrote for ESPN.com profiling the oldest college hockey arenas in Division I. Click here to read the ESPN article.